Come summertime, millions of people go to the nearest beach or mountain in search of a break from everyday life. I also go to nature, but upon arrival at a spot I often find much rubbish that has been left strewn around. 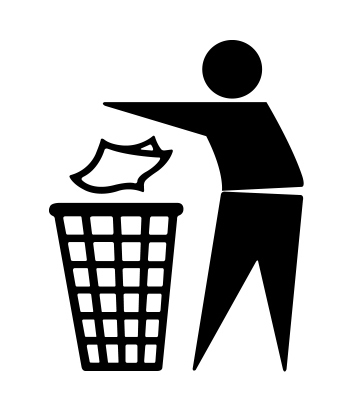 While sometimes visitors collect refuse in a pile, they fail to actually dispose of it. They sometimes burn the pile of litter in an attempt to dispose of it, which is also not right, for it only decreases the volume of it and cannot burn it completely. People know me to be keen on hiking, but I do not normally walk long-distance trails. Generally, I prefer no more than 15 kilometers of footpath, so I can do something special. Along the road I simply pick litter up which was left behind for ‘don’t know who’ to clean up and I carry it some distance to put the rubbish in its rightful place. I do so because I am convinced that the place for rubbish is at the dump, but definitely not high up in the mountains or downstream from river pools. In addition, this approach is the opportunity to provide public service on a volunteer basis, without actual participation in any programme. I always bring my camera to photograph my natural surroundings, so I have been able to record the process. In reality, some refuse won’t ever reach the landfill (a place where rubbish is deposited), and is going to decompose either around evergreen firs, or alongside rivers. Last weekend I cleared up the mountain by collecting kilograms of rubbish and brought it down to put in the container bin at my compound. Since there is no staff to collect refuse in the countryside, the only cure for the litter is us. For me Nature is the great joy indeed, and litter picking-up is far, far the easiest thing that I do. 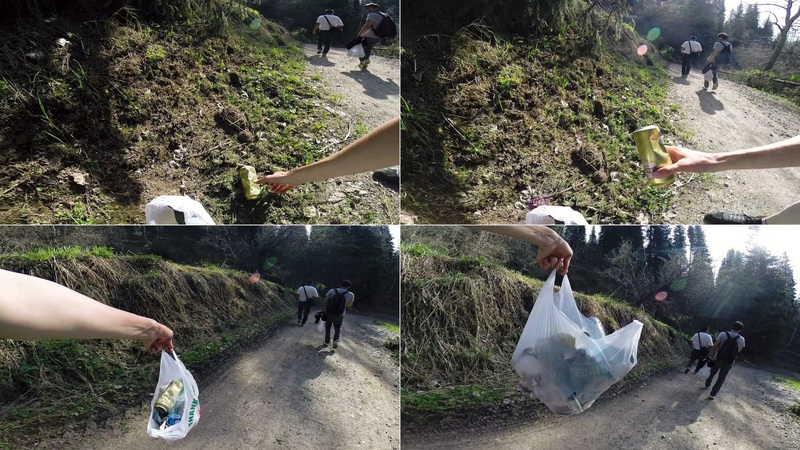 I have never talked about my concern about the spoiling of natural areas, and someone may find my concern ridiculous and useless, though I have realized that being seen out there picking up other people’s rubbish does get the message across to many that they shouldn’t litter. Why do I volunteer to pick up litter? There are tons of reasons given, but you can still think of your own reasons. You might say how annoyed you are with the issue. You may complain about selfishness and careless of others. Or else, for a start, you can certainly pick up litter and carry on. This entry was posted on Thursday, July 31st, 2014 at 7:23 am	and is filed under all posts. You can follow any comments to this entry through the RSS 2.0 feed. You can leave a comment, or trackback from your own site. Well done, Vitaliy – I know exactly where you are coming from. Keep up the great work – you are an inspiration! Look forward to seeing the photos. Thanks so much, Jeff – it is so great to get a very positive feedback form the West Yorkshire. I must notice your campaign, because of the people in it – who do their best work either. 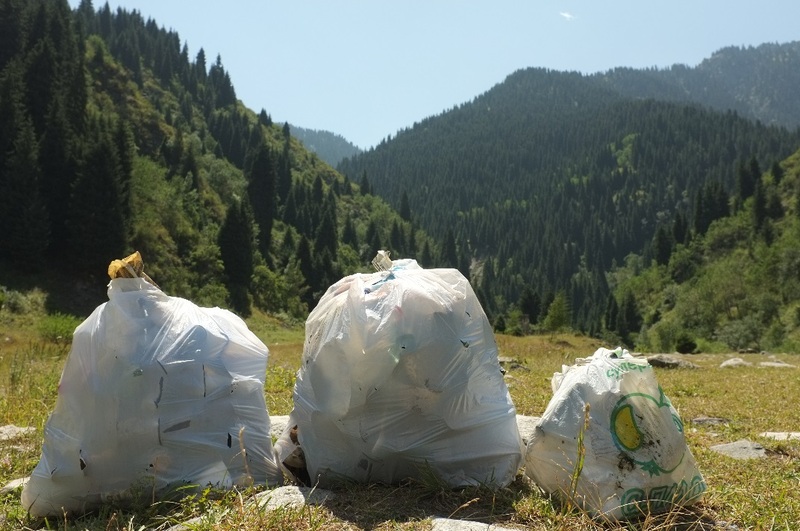 Vitaly, Please feel encouraged that we are keeping you company picking up litter in similar free-style campaigns in neighboring Kyrgyz Republic. Last week a nearby kid joined our efforts due to our example. Keep picking up & know your ongoing efforts are appreciated & supported! Vitaly, it is comforting to know that other people care about this matter. I spend as much time as I can at our home river (Altamaha) and it infuriates me the amount of garbage people camping or just visiting for the day will leave. I am currently in the process of working on trying to get our landons cleaned up. I just do not understand people who are ok with leaving trash everywhere. It is our world and we should want to take care of it. Awesome work Vitaliy!! This is a great way. You inspire other people, keep it up. Thanks for sharing your thoughts.